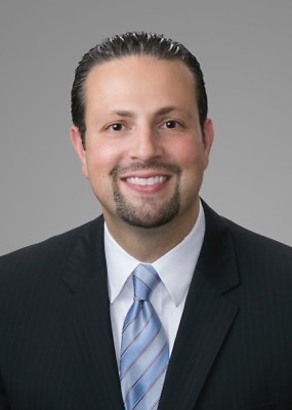 Habeeb “Hobbs” Gnaim is a Shareholder in the Firm and serves as the head of the Firm's Tax Planning & Business Transactions Group. Mr. Gnaim also serves as a member of the Firm’s Management Committee. Mr. Gnaim focuses his practice on tax and corporate matters, including the formation, governance, reorganization and internal restructuring of corporations, partnerships and limited liability companies to achieve tax and corporate objectives. Mr. Gnaim has significant experience in all aspects of structuring, negotiating and implementing business acquisitions and dispositions, corporate reorganizations, mergers, conversions, recapitalizations, corporate finance transactions, deferred recognition transactions, admissions of and providing equity incentives for management and key employees, as well as choice of entity considerations, and state tax planning. Mr. Gnaim also has significant experience in working with family owned or closely held businesses on the design and implementation of business succession plans or business divorce/separation matters. He also advises individuals in personal divorce matters, along with their primary divorce counsel, on tax and corporate issues that arise with the division of complex marital estates involving substantial assets and entities. Mr. Gnaim works with individuals, business owners, executives, chief financial officers, tax directors, outside accountants, bankers, and other advisors to provide efficient solutions to tax and corporate issues that arise in the normal day to day business setting. Mr. Gnaim is also engaged in a tax controversy practice and represents both individuals and companies in disputes with the Internal Revenue Service and state and local taxing authorities. Just When You Thought You Had it Figured Out: Revisiting Choice of Entity and Structuring M&A Transactions in Light of Recent Tax Law Changes, Houston CPA Society's Annual CPE Tax Expo, January 2019. Just When You Thought You Had it Figured Out: Revisiting Choice of Entity and Structuring M&A Transactions in Light of Recent Tax Law Changes, Chamberlain Hrdlicka's 41st Annual Tax and Business Planning Seminar, November 2018. Evaluating the Impact of Taxes on Divorce, State Bar of Texas' 23rd Annual New Frontiers in Marital Property Law, October 2018. The Family Game of Thrones: A Planner's Guide to Drafting Effective Business Succession Plans, Chamberlain Hrdlicka's 38th Annual Tax and Business Planning Seminar, November 2015. The Family Game of Thrones: A Planner's Guide to Drafting Effective Business Succession Plans, State Bar of Texas' 16th Annual Estate Planning & Probate Drafting Course, October 2015. Tax Planning for Closely Held Businesses: Creating a Plan that Covers All Angles, Houston CPA Society's 25th Annual CPE Tax Expo, January 2015. Issues & Family Dynamics: Passing Wealth Between Generations Involving a Closely Held Business, Business & Personal Growth Symposium, April 2014. Navigating the Minefield of Selling the Assets or Ownership Interests of a Clients' Business, Chamberlain Hrdlicka's 36th Annual Tax and Business Planning Seminar, December 2013. The Full Monty on Closely Held Business Planning: Creating a Plan that Covers All Angles, Chamberlain Hrdlicka's 34th Annual Tax and Business Planning Seminar, November 2011. Donkeys, Elephants, and Taxes: What Does the Future Hold for the Tax Code After the General Election on November 4, 2008, Chamberlain Hrdlicka's 31st Annual Tax and Business Planning Seminar, November 2008. 2008 Tax Return Preparation Issues, Chamberlain Hrdlicka's February 2009 Tax Forums. 2007 Tax Return Preparation Issues, Chamberlain Hrdlicka's February 2008 Tax Forums.